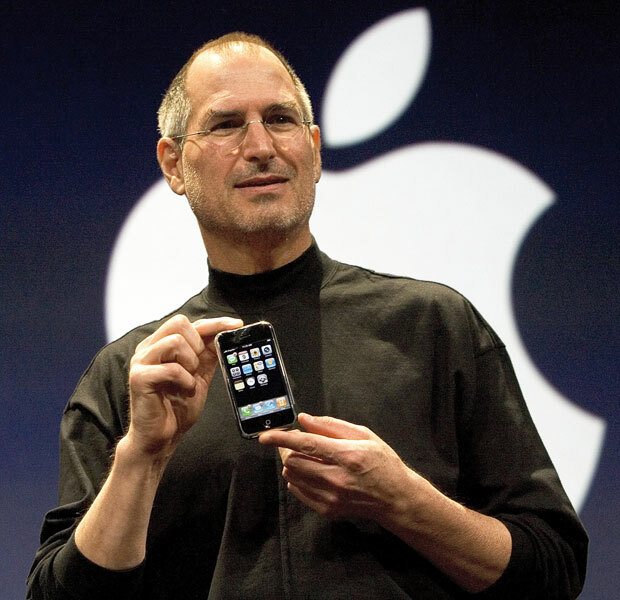 It seems like yesterday -- not 10 years ago -- that Steve Jobs took the stage at MacWorld to debut Apple's latest new gadget: the iPhone. The iPhone was three devices in one, he declared at Moscone West in San Francisco. It was a widescreen iPod with touch controls, a revolutionary mobile phone, and a breakthrough Internet communications device. Apple's "three-in-one device" has gone on to become a critical contributor to the company's success, accounting for more than half its revenues annually, as well as a can't-live-without tool for many people. "iPhone is an essential part of our customers' lives, and today more than ever it is redefining the way we communicate, entertain, work and live," said Apple CEO Tim Cook. 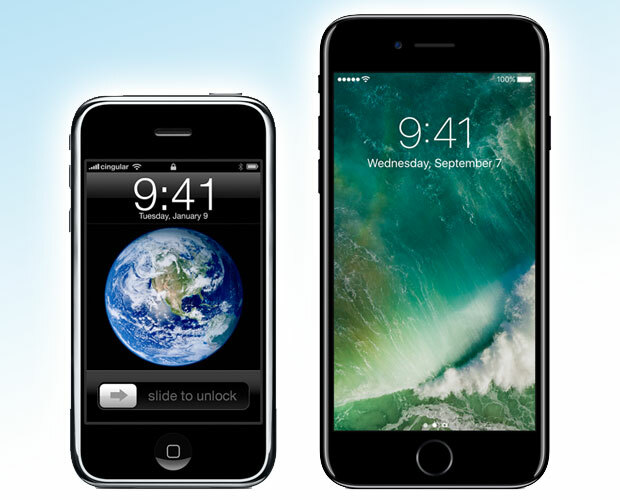 "iPhone set the standard for mobile computing in its first decade and we are just getting started," he continued. "The best is yet to come." What made the iPhone different from what passed for a mobile phone before Jobs introduced it that fateful day 10 years ago? "What we've realized over the last few years is that the iPhone fundamentally changed how we thought about phones," said Jack E. Gold, principal analyst atJ.Gold Associates. "Before the iPhone, we looked at phones as primarily communications devices," he explained "iPhone changed that to 'we've got a computer in our hands that happens to be a phone as well.'" Prior to the iPhone's arrival, most vendors believed there was scant need or demand for a palm-sized "smart" device supporting search, media consumption and other Internet-based functions, recalled Charles King, principal analyst at Pund-IT. "The iPhone put an end to those assumptions and transformed the marketplace,"
It also flipped forever how mobile phones were used. "Before iPhone, we talked on phones 90 percent of the time," Gold said. "Now we talk 10 percent and do other stuff 90 percent of the time." Apple brought something else to mobile phones that hadn't been there before: usability. "In the early days of smartphones, they were awful to use," Gold noted. "The iPhone wasn't perfect, but it fundamentally changed how people perceived these things as fun and easy to use." Another notable change the iPhone pioneered was the use of mobile applications. "A big innovation was the introduction of a development kit for creating apps and making apps a key part of the iPhone design," said Tim Bajarin, president of Creative Strategies. "That allowed them to create a broader ecosystem that included hardware, software and services,"
There is no doubt that the iPhone created a good monster with its app-centric approach. Since Apple began selling software from its App Store in 2008, it has returned more than US$50 billion to developers. Perhaps what has distinguished the iPhone above all else during its 10 years of existence has been its design. "Some of the technology in the iPhone was around before the iPhone, but the iconic design wasn't seen before," noted David McQueen, a research director at ABI Research. "There've been a lot of copycats, but none have come up to the beauty of the iPhone's designs,"
Ironically, one of the iPhone's biggest flubs was connected to the design of the iPhone 4. The so-called Antennagate problem occurred because the phone's antenna was placed on the edge of the phone where a user's hand could interfere with the call signal. The introduction of Maps created another blemish on the iPhone's record that Apple would like to forget. The app was embarrassingly inaccurate when it made its debut. Those mistakes were just bumps in the road for the iPhone, though, with little impact on its popularity or sales. That is attributable in part to Apple's service, which is "fantastic," according to McQueen. Another factor is customer loyalty. "People who love Apple love Apple," Gold observed. "There aren't a lot of people leaving Apple." If Apple can maintain the iPhone's premium status, it should continue to thrive. "Apple has done really well by staying at the high end, where margins are good, and by selling additional services," Gold explained. "If they can maintain those margins, they'll do fine." Apple is also making investments in artificial intelligence, which should help the iPhone keep pace with competitors. Short-term prospects look good for the iPhone, too.